I have totally welcomed May with open arms, as it's the official start of summer, and marked my return to Orlando for several months. In between working two internships, I am excited to discover what's new on the gluten-free front in Orlando and have access to a greater variety of grocery stores for more frequent product taste testing. May also brings a month-long focus on all things celiac disease, as it is celiac awareness month. While my specific brand of gluten-disorder has not been confirmed, I am so thankful that the month-long spotlight has been on the disease, not the gluten-free diet, because this focus will allow us to find the root causes behind gluten-related disorders, and hopefully make progress towards understanding and treating them. As such, I am so thankful for the popularity of the gluten-free diet, both for medical and "fad" reasons because it has made navigating the world gluten-free so much easier, and delicious too, as evidenced by this month's round of my favorite grocery store finds. Note: I have visited Sweet Theory before (read review here). If you're passing in or out of Central Florida by way of Jacksonville, Sweet Theory Baking Co. is without a doubt a must-do destination. This all around allergy friendly bakery serves up some of the most decadent, mouth-watering treats I've found in my quest to find the most incredible gluten-free bakeries in this country. As I made my way from Maryland to Florida for the summer, I knew that the bakery earned a coveted spot on my limited itinerary on the lengthy journey. All treats at Sweet Theory are free from egg, dairy, soy, and peanut, and more than half of the items are available gluten-free as well. Cream cheese is just one of those things you think you lose forever when going dairy-free. After all, most dairy-free cheeses fail to capture the "creamy" quality that makes cream cheese such a luxury. Believing I was doomed to eat topping-less bagels for all eternity, I couldn't believe my eyes when I spotted almond milk cream cheese at my local Whole Foods Market. With the highest of hopes, I invested in Kite Hill's cream cheese- both plain and chive- and quickly fell in love with the simple unbelievable, irresistible joy of reuniting with cream cheese again after several years. Quite simply, it's the real deal. You better believe your tastebuds. When it comes to the Orlando dining scene, it's hard to ignore the proliferation of Tijuana Flats locations and the loyalty of their local fans. The restaurants serve up good food at good prices in an atmosphere that's colorful, funky, and all-around celebratory of weirdness. The chain's first location was in Winter Park, and ever since then, they've enjoyed widespread success and have been able to sustain their commitment to fresh fare. 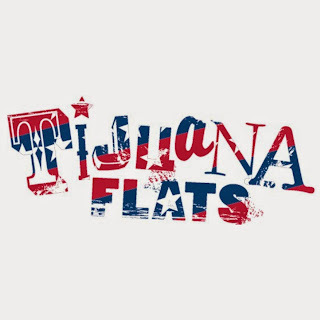 Curious about Tijuana Flat's gluten-free options, I inquired via email about what would be safe with their corporate offices. I've had their burrito bowl-like entree (the norrito bowl) a while ago, and was curious if there's anything else I could enjoy. Besides the gluten-free cautions, and green lighted items, I discovered that their food manifesto is worth noting as well. This review covers Wako Taco the restaurant, not the food truck. For more information on the food truck click here. As Orlando's foodie scene has grown, one of the most fun additions has been the explosion in the food truck population. In my limited exploration into gluten-free options in and around town, Wako Taco's rolling taco operation impressed me with their delicious fare, friendly staff, and gluten-free awareness and accommodation. In my time away from Central Florida this past year, Wako Taco has actually grown up and into a permanent location near Longwood's historic district north of town. Excited at the prospect to get enjoy their tacos whenever I'm craving them (and in air-conditioning too), my mom, sister and I decided to stop by for lunch to celebrate the end of the school year. If there's anything I've learned as a Maryland resident, it's that nothing compares to the sheer oppressiveness of the Florida heat. Coming back home for the summer, I'm slowly having to ease myself into the inferno-like heat of the day. Luckily, a good friend of mine suggested a reunion outing to a place where popsicles take center stage: The Pop Parlour. Located in the heart of Downtown Orlando, the Pop Parlour is literally one of the coolest places in town and serves up heat beating treats in an array of tantalizing flavors. As we got out of the car at Lake Eola, the humid, hot day was practically perfect for a serious popsicle taste test. Despite the abundance of gluten-free breads out there lining grocery store freezers, most are barely palatable imitations of the breads we all knew and loved before gluten decided to break up with our bodies. Some are holey, some are tiny, and some are just too darn expensive to try. I'm thankful I've found several brands I can get behind both for their amazing products and their guiding philosophies. Canyon Bakehouse is one such brand that makes the grade for their uncompromisingly delicious breads, wide availability on store shelves, and reasonable price. Those who read this blog or follow me know that I have a serious soft spot for bagels, but a lengthy checklist of ideal attributes I look for. When I received the glorious news that Canyon Bakehouse was going to going to expand their product line to include three new products- I jumped for joy, then eagerly awaited my first encounter. College Confidential is my month-long look at college life with dietary restrictions. From dorm cooking to navigating the dining hall, this all access pass will give tips, tricks, and other tactics for handling a gluten and dairy-free diet in college. Being gluten-free in college is no easy feat. After all, one's college years are "supposed" to be full of glutenous encounters with cheap Chinese food, late-night delivery pizza, and all-you-can eat indulgence at the dining halls. With the limitations of being gluten-free (or having any dietary restriction), it's inevitable that maintaining a strict observance of one's diet is isolating and often an inconvenient endeavor. Following in the footsteps of my latest post covering the first steps for establishing a gluten-free friendly foundation with your college and their dining services, this post is a quick primer with do's and don'ts that I've learned that will help you navigate the college scene easier. When it comes to chain restaurants, the big fast food joints are completely inaccessible for people with food allergies or celiac. However, an exception to this rule can be made for Chipotle Mexican Grill, who deftly proved that grab-n-go fare can and should be held to a higher standard. Revolutionizing the concept of fast-food, Chipotle has enjoyed unprecedented growth and has managed to uphold their commitment to quality, fresh food at a reasonable price. Ditching GMOs, antibiotics, and growth hormones in favor of locally-sourced, sustainable fare, the food is as good for the environment as it is good for you. Although many already know Chipotle's rep for delicious, allergen-friendly fare, I figured that I was long overdue to devote a blog post to them just to set the record straight to clarify what they offer for gluten and dairy-free folks. After all, with over a thousand locations across the country, the chain is a good go-to for gluten-free travelling as they are widely available and easily accessible. Expecting a fifteen hour road trip door-to-door from Maryland to Florida to head home for the summer, my dad and I set off not planning to make many stops. After all, there's not an abundance of gluten-free friendly options along I-95. After starting out strong, I requested a stop in Richmond, VA after several hours of traffic coming out of Washington, D.C. put us back, forcing us to skip lunch altogether. Arriving in time for dinner, I knew I wanted to give Tio Pablo a try after I found them on the Find Me Gluten Free app and saw that they are a dedicated gluten-free facility. Located right of I-95, Tio Pablo is a perfect stop for weary travelers with a positive vibe and delicious fare to keep you going strong on the road. PF Chang's is one of the few major chain restaurants with a great gluten-free reputation that I have not been to. With no time like the present, I maximized my next to last day in Maryland until next August by paying my local PF Chang's a visit for lunch with mom to break up a long, hard day of sorting, packing, and final exams. Described as a "China bistro," the restaurant certainly has several Chinese offerings, but also features pan-Asian fare that allows a culture clash of sorts that's downright delicious. This particular location is a cornerstone of the uber-busy Towson Towne Center Mall, a hive of shopping, dining, and entertainment that's always buzzing with activity. With the final days of my first year in college winding down, I'm finally getting around to putting pen to paper to give some insight into my experience dealing with dietary restrictions in a collegiate setting. Right off the bat, I will put it out there that my experience is not the norm, nor should it be, as everyone has different comfort levels with dining, and each college, provides a different experience through their dining outlets, food sourcing, and staff. In writing my experiences, I hope to give some tips and tricks that make the transition smoother and provide a perspective I wish I had as a reference going into the adventure. Starting from scratch, I'll wade in to my tell-all tales of navigating college life with the initial steps I took to touch base with my university and lay the groundwork for a successful start. The wonderful thing about emerging from a difficult winter is that spring brings stunning renewal of nature, wonderful weather, and farmers' markets. In search of a fun outing during my last weekend on campus, I decided to venture to the 32nd St. Farmer's Market, which is near Baltimore's Charles Village. Arriving shortly after the market opened for the day, I found the self-contained parking lot laden with vendors of all varieties and several patrons out and about, braving the misty day for local produce and products. Despite the abundance of gluten-free breads out there from large companies, I love the feeling of discovery when I find a locally made bread from a small company. These small bakeries are often supported by other small businesses, which creates an awesome chain of supporting the community by the simple act of buying a loaf of bread. One such small business ripple effect starts here in Baltimore with Eddie's Market. With locations in Roland Park and Charles Village, they easily address any grocery needs one might have, and bring local flair inside the store with a focus on artisan, unique, and local products. While checking out their always interesting assortment of local products from around the area, I was pleasantly surprised to stumble across a brand of gluten-free sweet and savory baked goods I was unfamiliar with: Betsy's Bakery. This Camp Hill, PA based bakery that is 100% gluten-free in both production and facility, so I was sold right away on giving them a try. While in Annapolis, in between duel visits to Amsterdam Falafelshop, the summer-like heat of the day lead me to crave something cold and sweet. Knowing the risk of cross contamination of both gluten and dairy at several chain smoothie and coffee shops, I decided to indulge in a freshly made smoothie at Good Life Smoothie Bar, a neighbor to the falafel purveyor I profiled. Both residents of MarketHouse, an cute assembly of stalls and shops on the waterfront, I was happy to patronize two local businesses. Annapolis is a beautiful, quaint bayside city that is the seat of Maryland's government and the perfect distance away from Baltimore for a nice weekend trip. In town for a special event, I made sure to take advantage of a whole day in town to check out the sights and tastes of the city. What's cool about Annapolis is that it is rich in historic features and is easily accessible for shoppers, diners, and other visitors alike. With the Naval Academy nearby and impressive government buildings dating back to the American Revolution, there's plenty to do. However, as I am not a travel agent, I'll leave the trip planning to you and just provide guidance on what to eat while exploring the town. First and foremost I'm featuring Amsterdam Falafelshop, a DC export with a cult following and enough garlic-based goodness to remind you of your meal long after it's been eaten (in a good way). Spring has sprung here in Maryland, bringing with it the mad dash to the finish of my freshman year. While I'm enjoying the beautiful weather, and upcoming transition back to Florida, I'm not a big fan of the stress, studying, and other not-so-joys of an foreboding finals week ahead. Luckily, the better weather has allowed to get out and about more, and peruse grocery stores both in my neck of the woods and in and around Baltimore. The discovery of new products has been the most welcome distraction from academia.